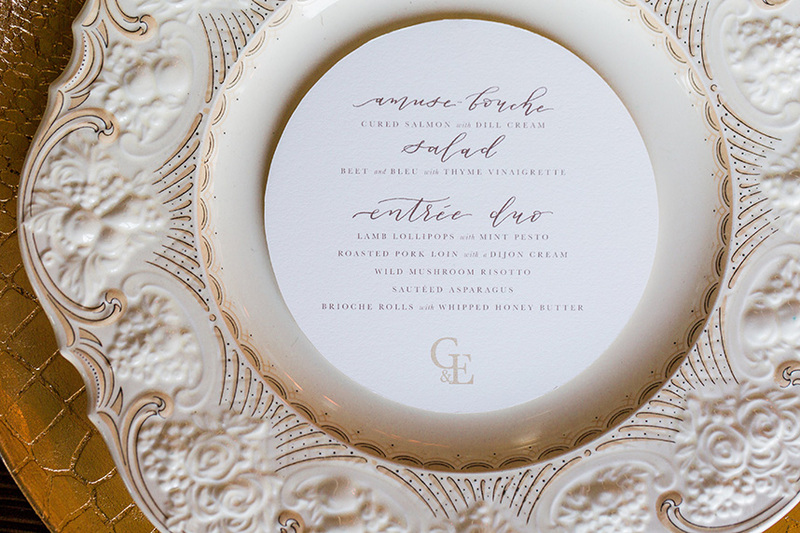 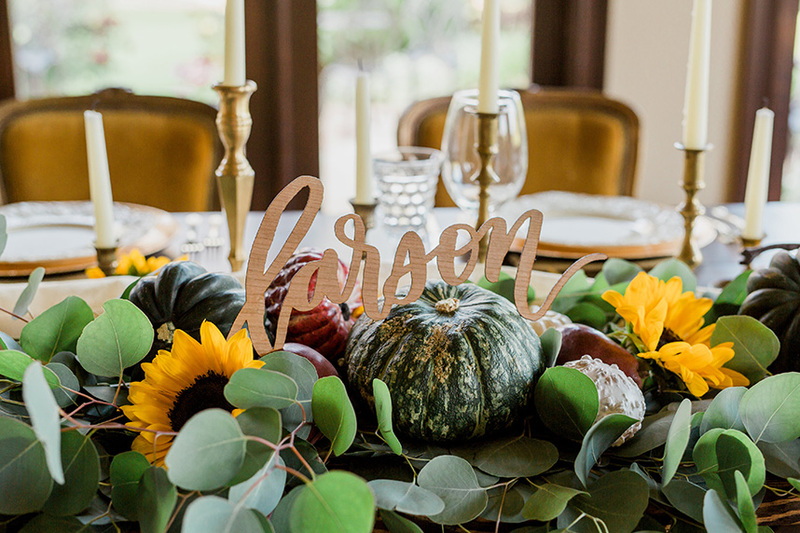 With crisp, cool days already here and the fall season in full swing, we’re so excited to share this perfectly seasonal, elegant Autumn-inspired wedding shoot by Daniel Weir Design! 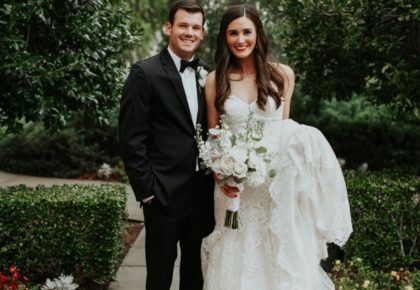 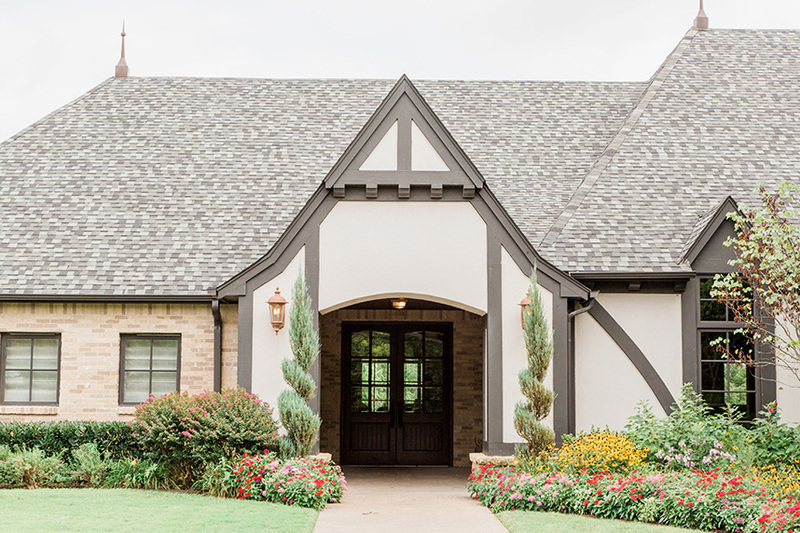 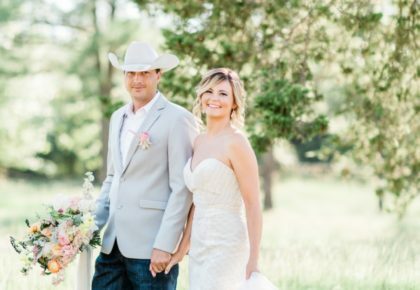 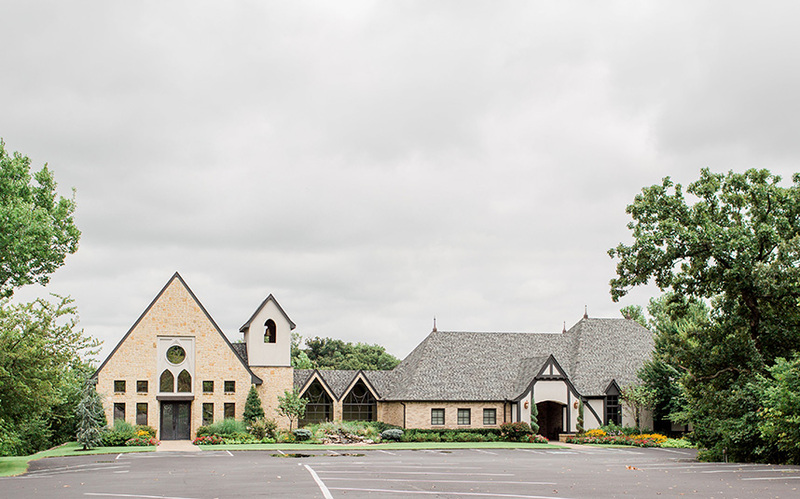 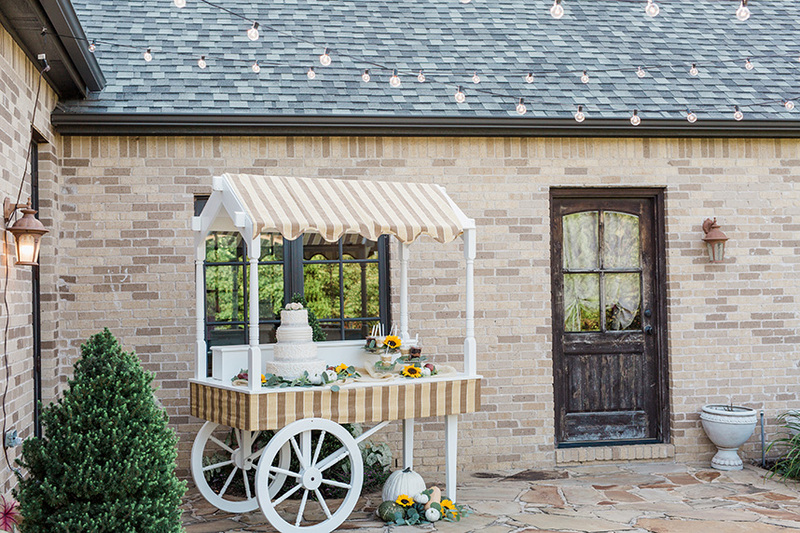 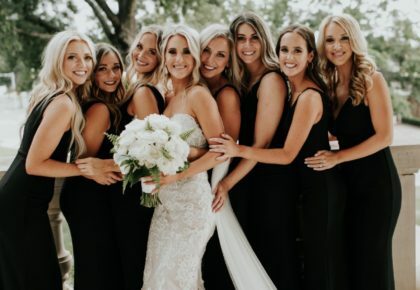 All captured by Andi Bravo Photography, warm colors, natural elements and fun, thematic decor helped create the most picturesque setting at the brightly lit Vesica Piscis Chapel. 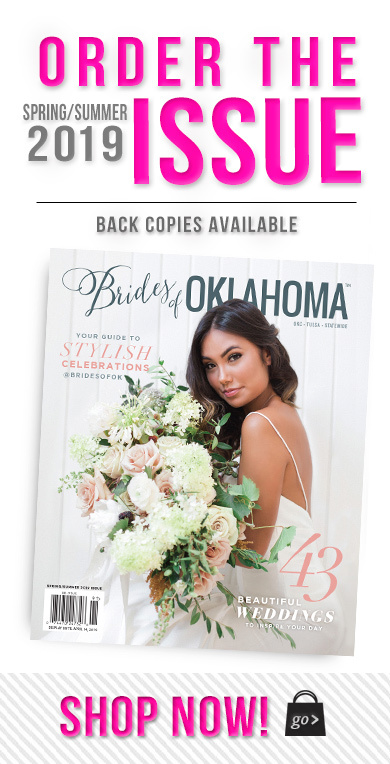 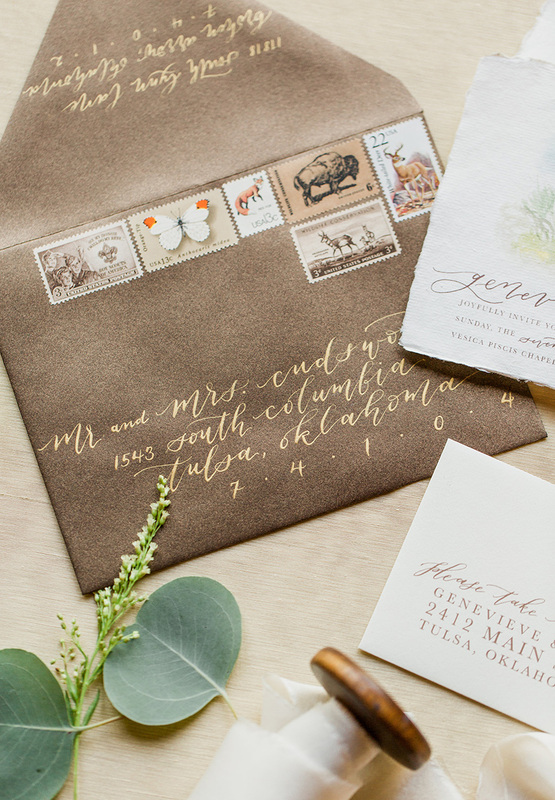 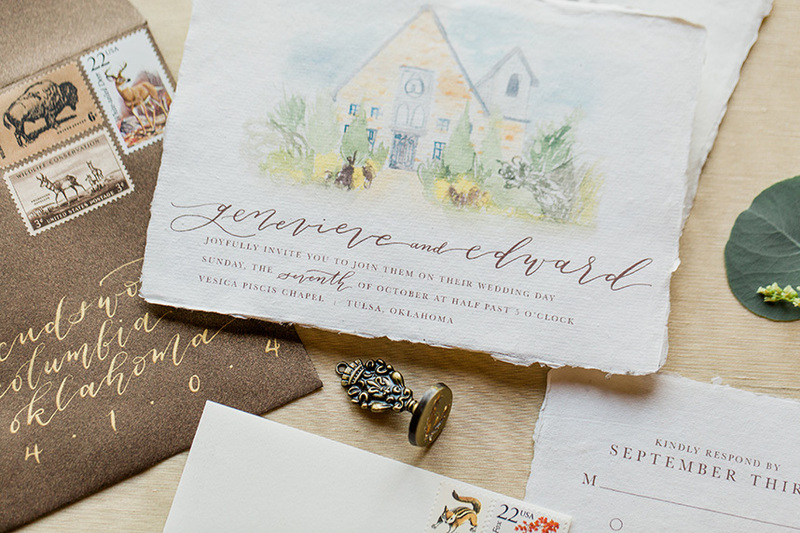 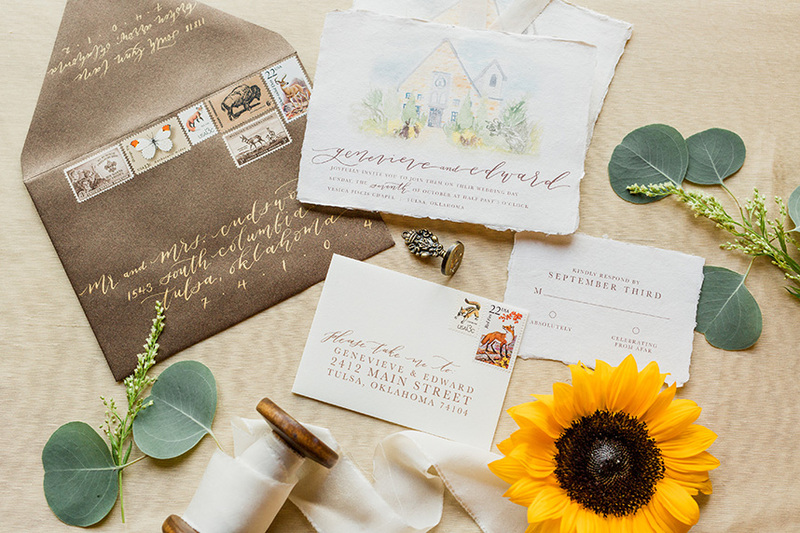 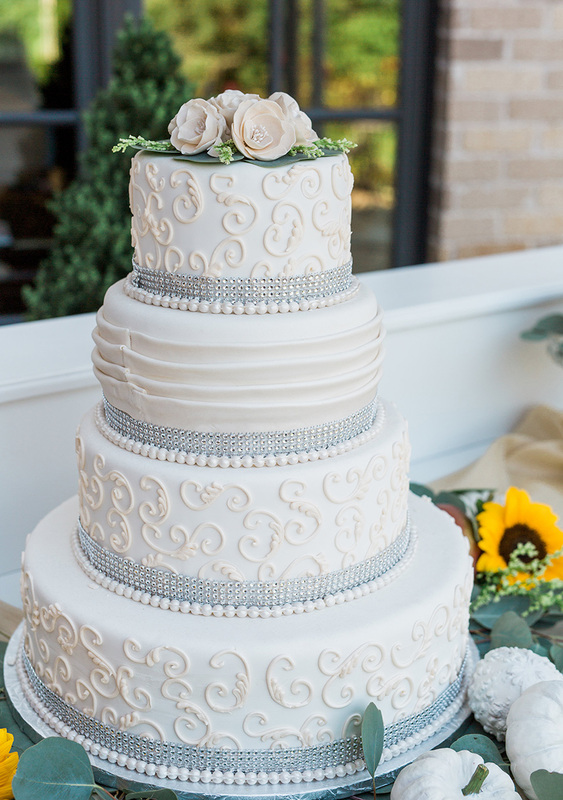 A vintage-inspired paper suite from Laurel & Marie embodied the elegant nature of the shoot with earth toned colors and a custom watercolor illustration of the chapel. 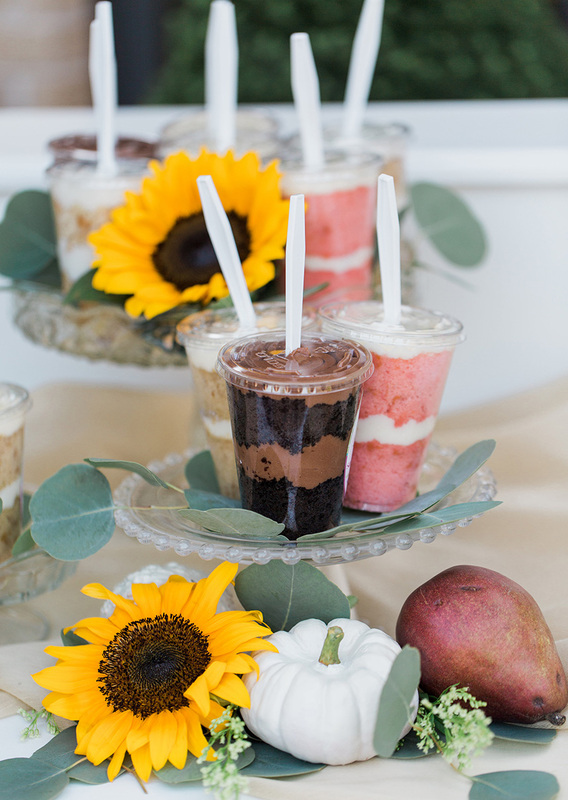 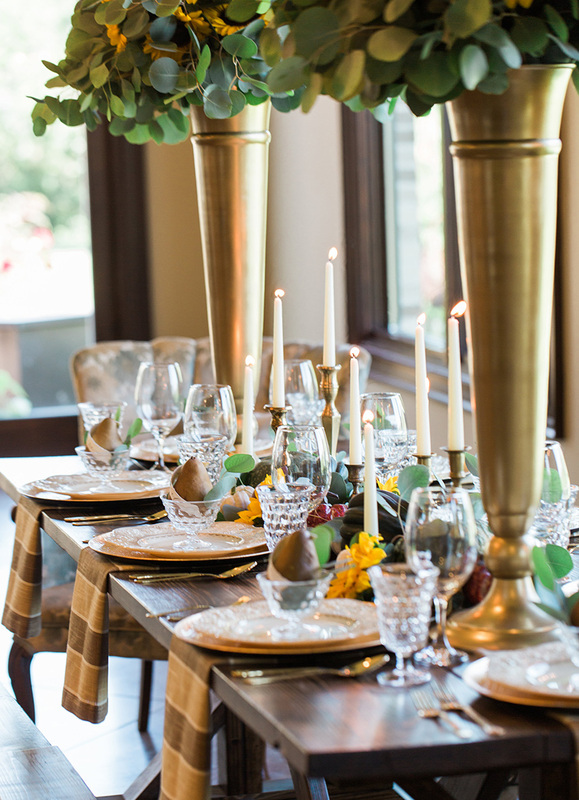 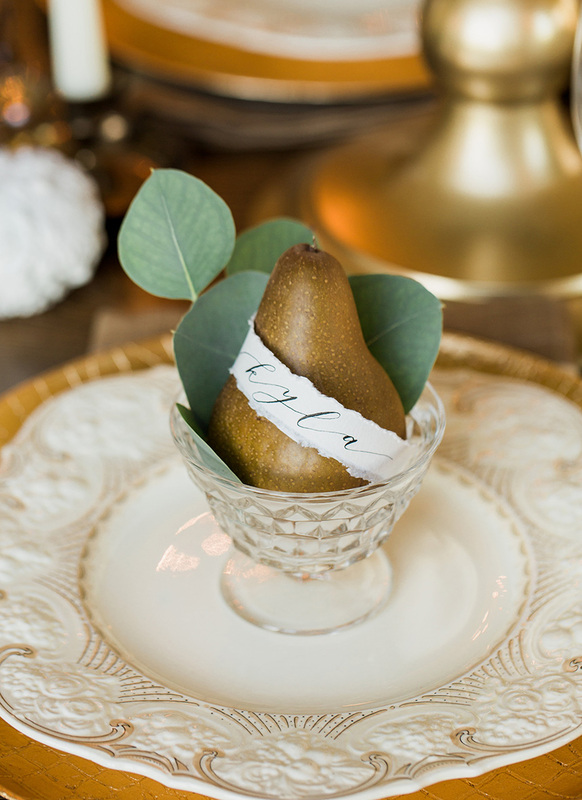 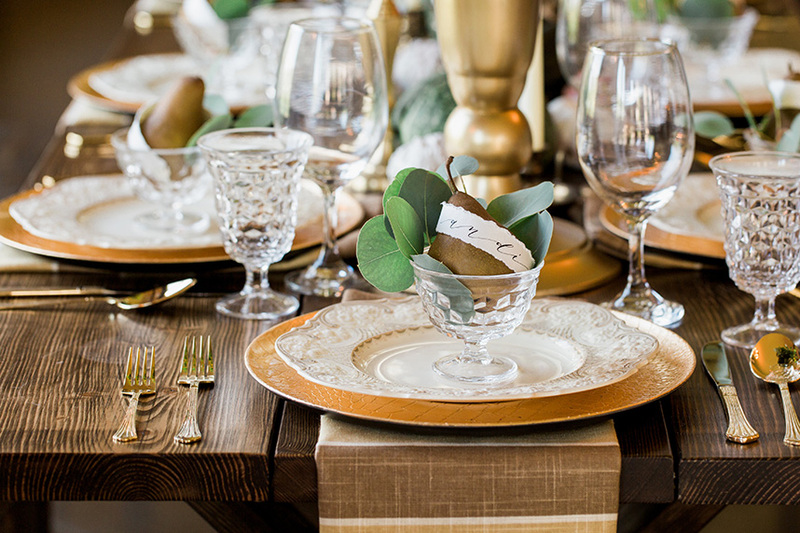 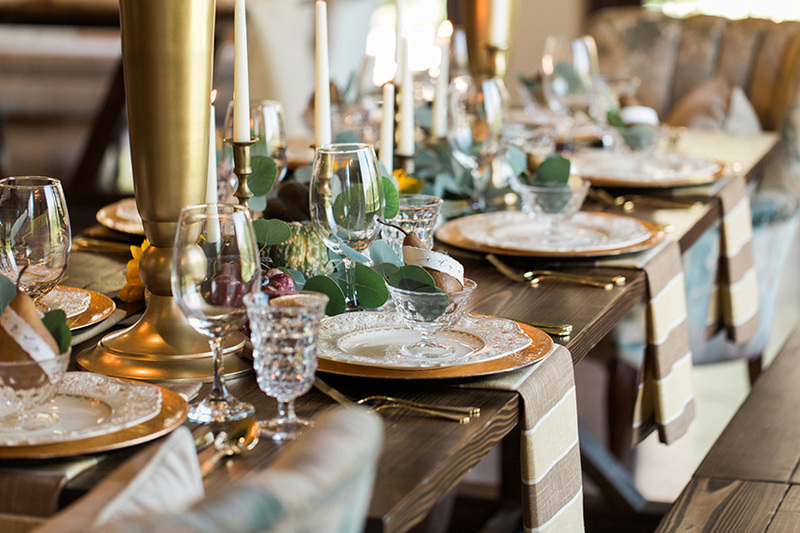 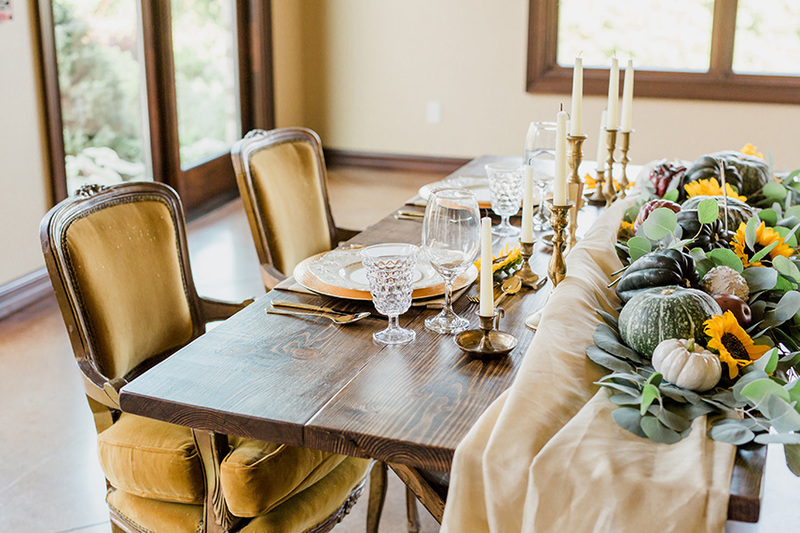 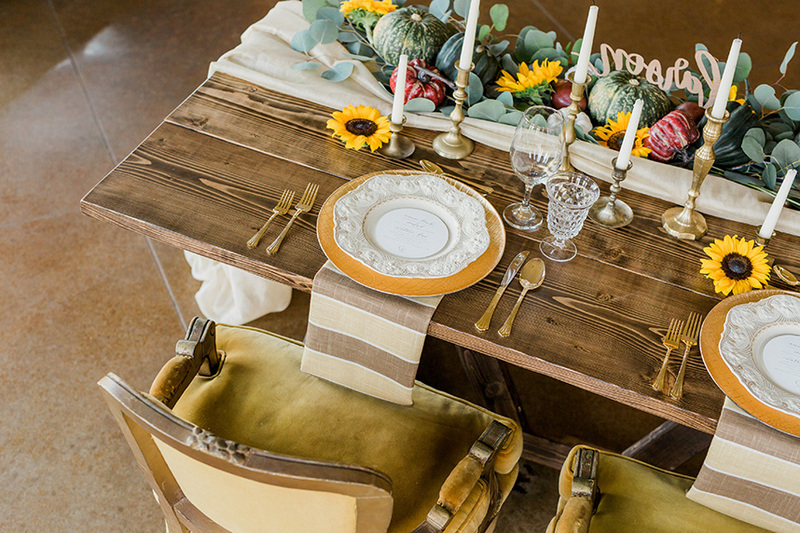 Dark wood tables and benches were accompanied by gorgeous tabletop decor in gold place settings and seasonal fruits like pears and pumpkins as place card holders, pieced together from rental vendors like La Vintage. 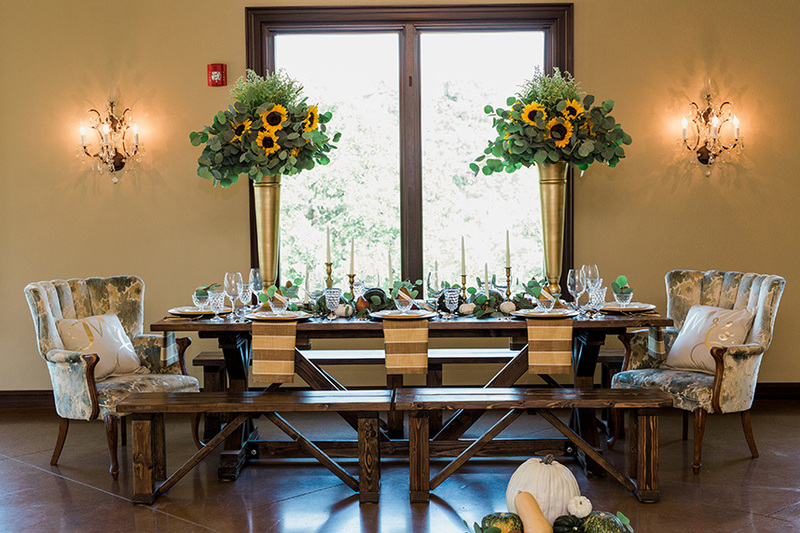 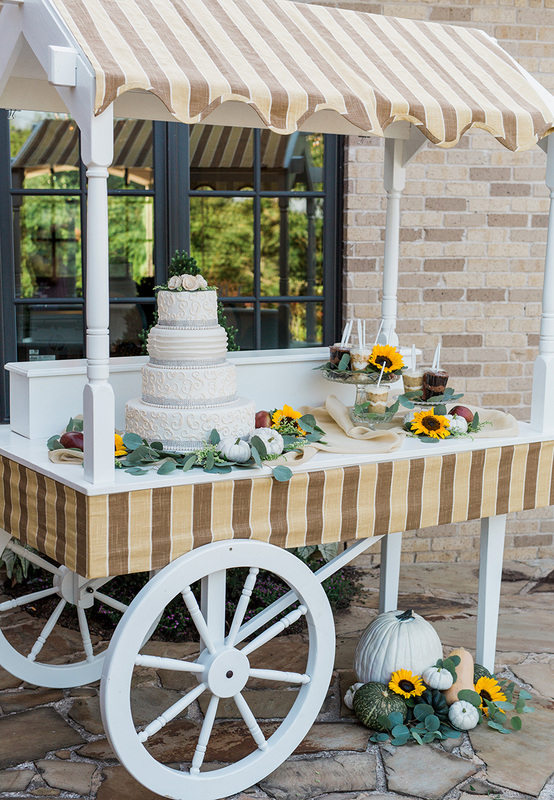 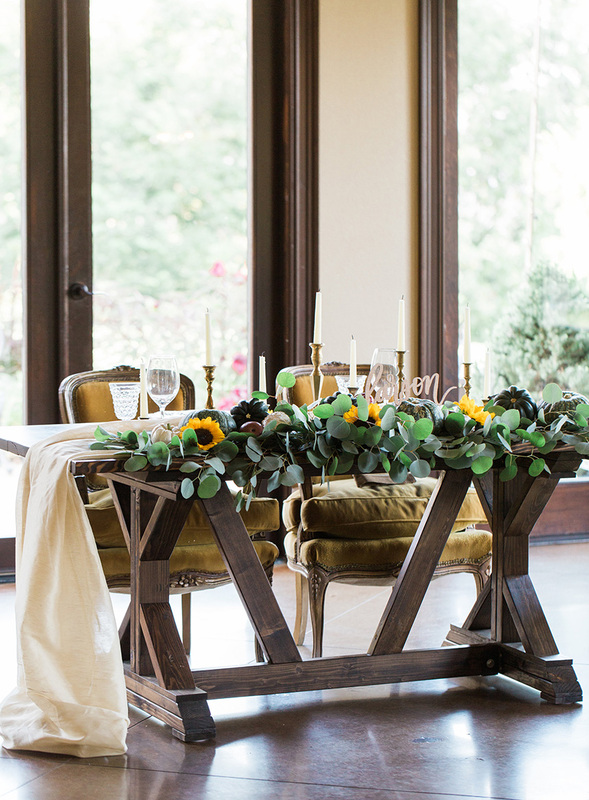 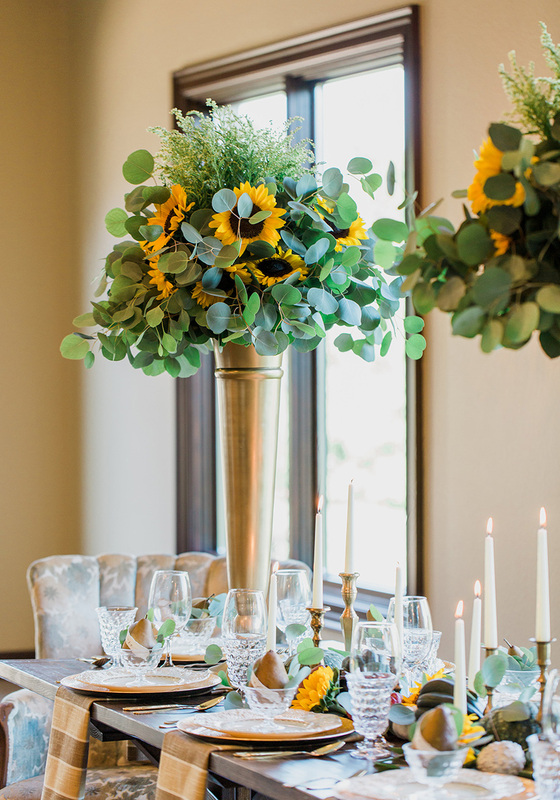 Big, bold sunflower arrangements from Daniel Weir Design were the “cherry on top” of the table settings, adding to that perfect, fall-like feeling!